Convert AVI to Final Cut Pro, TV, Apple/Android device and any popupar optimized preset. Convert AVI to MOV, MP4, MKV and other 1000+ video/audio formats. As you know, most AVI files use DivX, Xvid or 3ivX compression codecs. If you want to edit AVI files on Final Cut Pro, you will need to convert to its compatible formats first, namely MP4. MOV, M4V, or DV. To convert AVI to Final Cut Pro seamlessly and effortlessly, AVI to Final Cut Pro Converter is highly recommended. It can export the professional encoders, namely Apple Intermediate Codec, ProRes and DNxHD to fit iMovie, FCP etc. best. 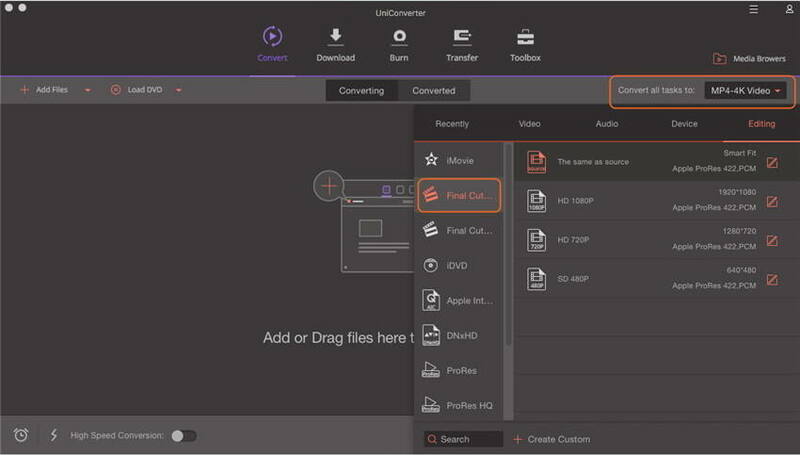 After the conversion, you'll find the converted files are just made for your FCP, you can easily and smoothly edit them with no effort and instantly share videos through Websites. Import AVI Videos to Final Cut Pro on Mac OS X (Mojave included). Step 1 launch Final Cut Pro AVI converter, click Add Files from main menu to browse your computer hard drive and select the AVI files you want to convert. 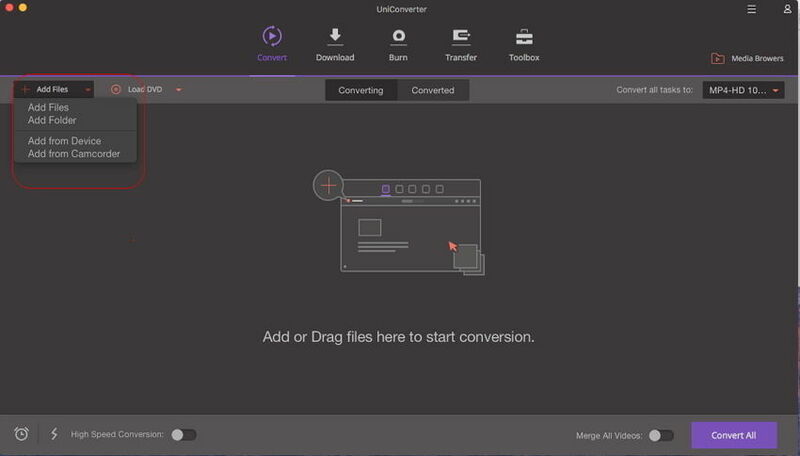 Or you can easily drag-and-drop files into this application for converting. Step 2 Click the drop down list of Convert all tasks to at upper right of this program's pane, and then select Final Cut Pro from the Editing category. Step 3 When all the settings are done, just hit Convert and the Converter will begin converting AVI to Final Cut Pro X right away. AVI (Audio Video Interleaved) files are a common format for compressed video clips. As a video container, it can contain audio/video compressed using varying different codecs (this is similar to an .mp4 file either using MPEG4 compression or H264 compression). The video quality of AVI file is usually better. And AVI format is widely supported on a vast range of operating systems and devices. The disadvantage of AVI is that the compression standard is not universal. Different compression standard can cause failure while playing an AVI file compressed in early standard on the newest windows media player. You might have some torrent movies or TV shows in AVI format, or some family AVI footages from your digital camcorders, like Cannon camcorder or mobile phone saved on your Mac's hard drive.